Ownership / Access: Wexford County Museum. 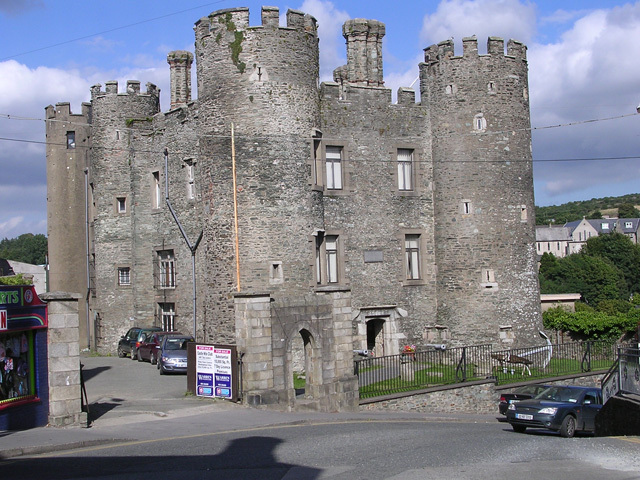 Notes: Enniscorthy Castle is situated in Enniscorthy, County Wexford. The current castle was originally built in the 16th century and houses the Wexford County Museum. For many years the Castle was home of the Wexford County Museum. The Castle was closed for extensive refurbishment in 2006, which saw the collections taken into the care of the local authority. Much of the collections returned to the Castle upon its reopening in 2011, although some parts of the collection were redistributed on permanent loan to other cultural sites, such as the National 1798 Centre. The displays now largely focus on the history of the Castle and the local area. The displays include exhibited artefacts and recreated rooms from the different periods of the Castle's occupation. Other displays are dedicated to the Wexford events relating to the Easter Rising, and Eileen Gray. There are some of the objects of the older Wexford County Museum displays are also featured.